Today our mystery reader was Mrs Hocknell. 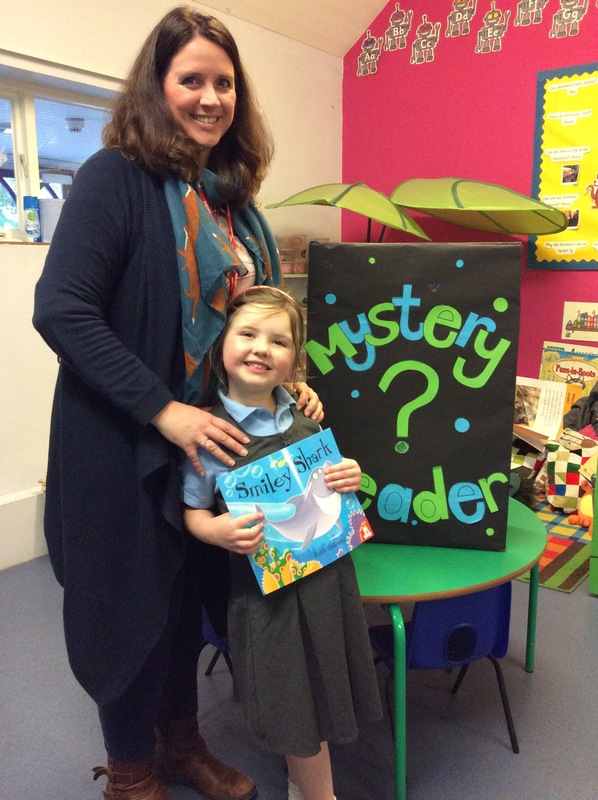 She brought in the book ‘Smiley Shark’ written by Ruth Galloway. Nobody had heard it before so we were very excited. It was all about a shark who’s friends wouldn’t play with him because of his big smile because they thought he was scary. If you like sharks and want to read more try this great shark story There’s a hole in the bottom of the sea . Or watch one of Miss Irwin’s favourite Shark in the park and try and answer the questions at the end. This entry was posted in books, Early Years, Mystery Reader and tagged Reading, sharks. Bookmark the permalink.